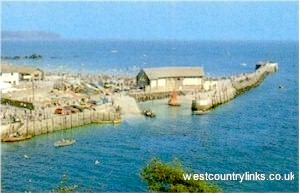 West Country Cottages Caravans tourism Cornwall Devon Somerset Dorset. A Window to the West of England provides West Country links, for business or pleasure. Please use our maps to view the area you are visiting and enjoy the Westcountry. A selection of self catering caravan and camp sites from which to explore the coast and countryside. SOMERSET Camp sites Somerset is known for leafy lanes, thatched cottages, Exmoor, lovely churches, farms and countryside. DEVON Camp sites Devon has two coasts, Dartmoor, tiny villages, quiet coves, gentle valleys with rich green rolling hills, sandy beaches and calm seas. DORSET Camp sites fine coast line gently rolling hills and secluded valleys, coves, fossil hunting, and lively beach resorts. 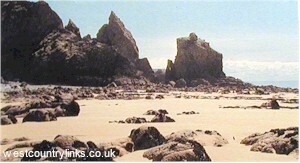 CORNISH Campsites Cornwall is known for fishing villages, coves, rock pools, surfing, fishing and beaches. IN THE WEST COUNTRY U.K.
West Country Holiday Cottages to rent Self-catering cottages in Cornwall Cottages, Devon Cottages and Seaside property, Somerset Village Cottages, Dorset Town cottages, Cornish holiday cottages also cottages in Devon. Plenty to choose from! View and book online today. View our West Country hotel accommodation or self-catering holiday property before you book online. West Country Grand Manor Houses and cottages in the towns and villages of the West Country. Also a selection of holiday cottages on farms, woodland, near the beach or sea. Summer holidays or romantic short stay cottages flats and holiday property, It's Your Choice! West Country Events and Attractions The West Country has many, Events, From Fetes, Carnivals, Fairs, Markets, Sport. Shows Days out in the South West from Eden Gardens, Castles, Museums, to Exhibitions, Country Houses, fun places to visit, County Shows, Agricultural Shows, Carnivals and Fetes. Use our maps to view the Towns and Villages for more local information on the area. SOMERSET is often called the Gateway to the West and its many charms are conjured up by its Old English name which means the land of the summer- farm dwellers. DORSET has seventy miles of fine coast line gently rolling hills and secluded valleys combine to make Dorset one of the most pleasant of English countries for a vacation. DEVON across the border from Cornwall, offers a great range of scenery and has two coasts, although unlike those of its neighbour these are entirely separated by the uplands of Dartmoor and Exmoor. A night out in the South West gives such a variety quaint old worlde pubs lurk around every corner mouth watering food in many guises awaits customers at the various restaurants either in town or country. 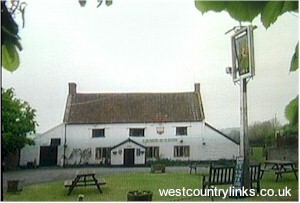 A selection of pubs, Inns, and various beer and ale houses to be found in the West Country. We have restaurants, inns tea rooms and eating houses with a variety of foods being served from English, Chinese, Fish, Indian, pub food, eating, snacks, fish, cafes, cakes, dinner, breakfast all good food.